There are a lot of interesting restaurants in Bonifacio High Street. We went there to have an early lunch before our scheduled movie screening. 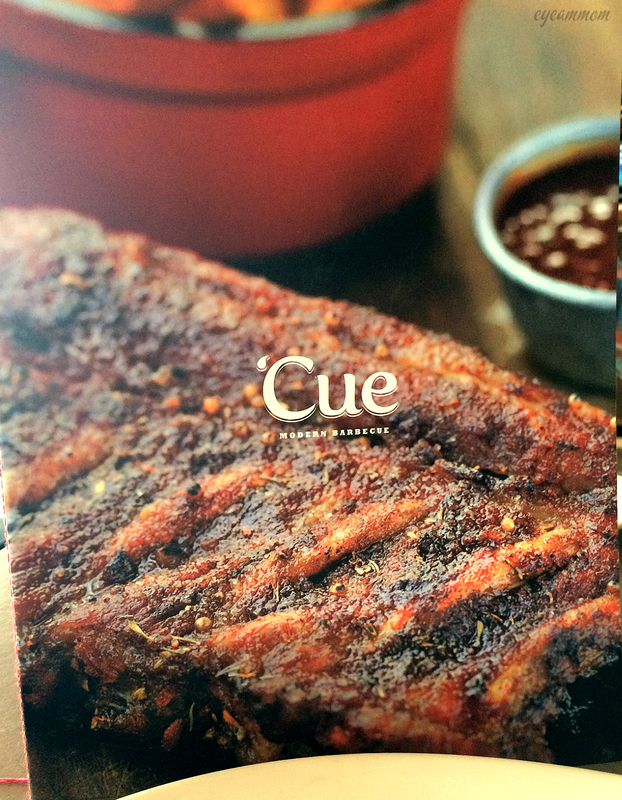 For today, we chose to eat in ‘Cue Modern Barbecue Restaurant. Being meat-lovers, we just had to check out this place. They had a lot of interesting choices on the menu. We opted for the Baby Back Ribs, Bacon Slab and Bacon, Mac and Cheese for the kids. Popcorn with chili powder was served as appetizer. It was okay, but I prefer my popcorn plain (butter-flavored). The meat orders came with your choice of side dish. We chose buttermilk mashed potatoes to go with our orders. The baby back ribs were a little dry, but tender enough. It tasted better with the accompanying sauce. The bacon slab was tasty and juicy. The mashed potatoes were quite runny and bland. The bacon mac and cheese was very good. There was a lot of sauce to keep the dish from drying out. There were chunks of bacon spread throughout the dish. Serving size was generous too. Overall, we found it okay. Not excellent, but we would be open to coming back to try their other dishes. 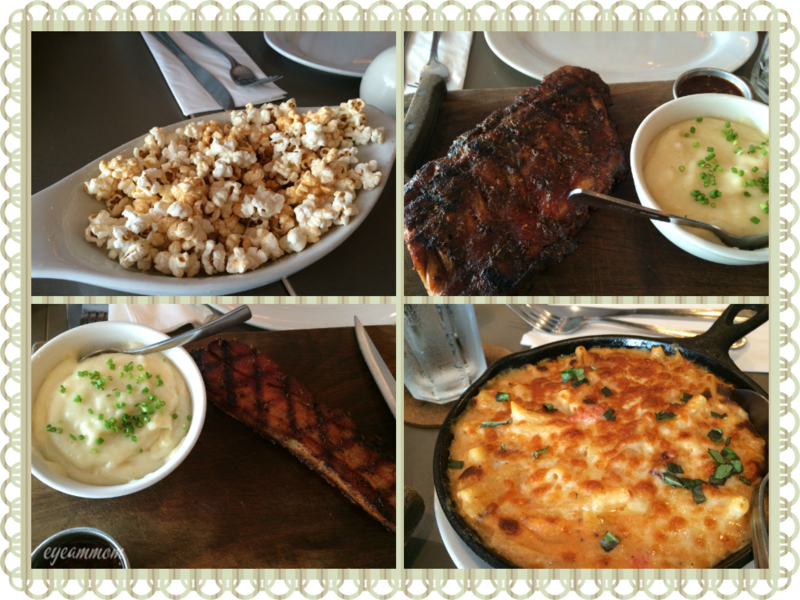 This entry was posted in Food, Life in the Metro and tagged 'Cue Modern Barbecue, Bonifacio High Street. Bookmark the permalink.